R is mainly used when the data analysis task requires standalone computing or analysis on individual servers. It’s great for exploratory work, and it's handy for almost any type of data analysis because of the huge number of packages and readily usable tests that often provide you with the necessary tools to get up and running quickly. R can even be part of a big data solution. When and how to use Python? You can use Python when your data analysis tasks need to be integrated with web apps or if statistics code needs to be incorporated into a production database. Being a fully fledged programming language, it’s a great tool to implement algorithms for production use. While the infancy of Python packages for data analysis was an issue in the past, this has improved significantly over the years. Make sure to install NumPy /SciPy (scientific computing) and pandas (data manipulation) to make Python usable for data analysis. Also have a look atmatplotlib to make graphics, and scikit-learn for machine learning. Unlike R, Python has no clear “winning” IDE. We recommend you to have a look at Spyder,IPython Notebook and Rodeo to see which one best fits your needs. If you look at recent polls that focus on programming languages used for data analysis, R often is a clear winner. If you focus specifically on Python and R's data analysis community, a similar pattern appears. 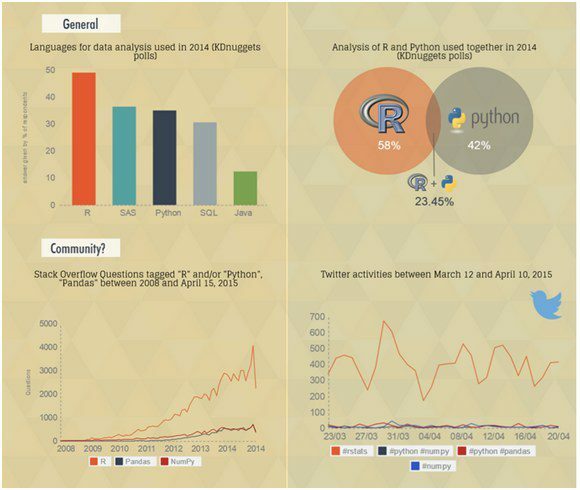 Despite the above figures, there are signals that more people are switching from R to Python. 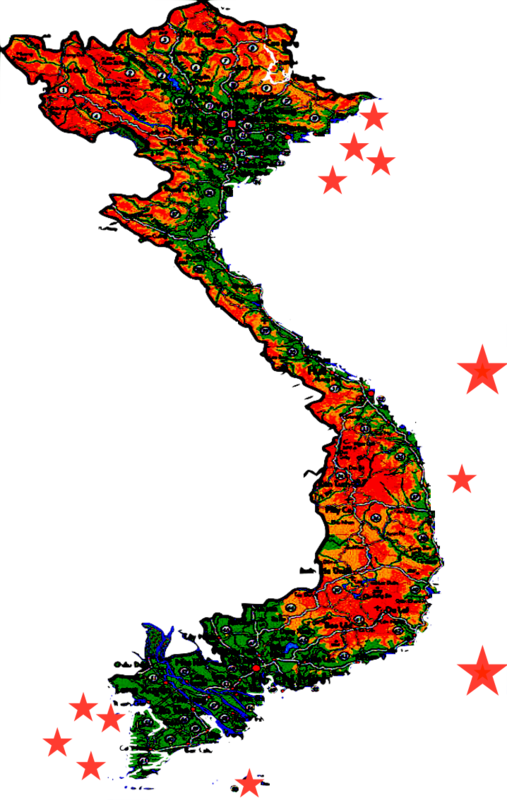 Furthermore, there is a growing group of individuals using a combination of both languages when appropriate. This is exactly in line with what we recommend to our students as well. If you’re planning to start a career in data science, you are good with both languages. Job trends indicated an increasing demand for both skills, and wages are well above average. R has a rich ecosystem of cutting-edge packages and active community. Packages are available at CRAN, BioConductor and Github. You can search through all R packages atRdocumentation. Python is a challenger to R. It does not offer an alternative to the hundreds of essential R packages. Although it’s catching up, it’s still unclear if this will make people give up R? What are the net costs for learning a language? What are the commonly used tools in your field? What are the other available tools and how do these relate to the commonly used tools?